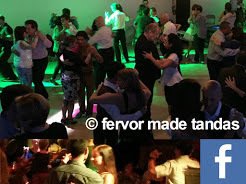 And suddenly, in a milonga venue, you receive a ﻿GRACIAS! "I am sorry" is superfluous except when you hurt someone. This is a social dance and not a performance. In the same vain, avoid excuses, such as “I am rusty” or “I am not very good.” Just let your soul dance. If the other person realizes you have deficits, you are better off with being just who you are. Just enjoy what is happening.